Your own backyard chickens need to eat a balanced, nutrient-rich diet so that they will have the best growth, weight gain, egg production and immunity from different poultry diseases. 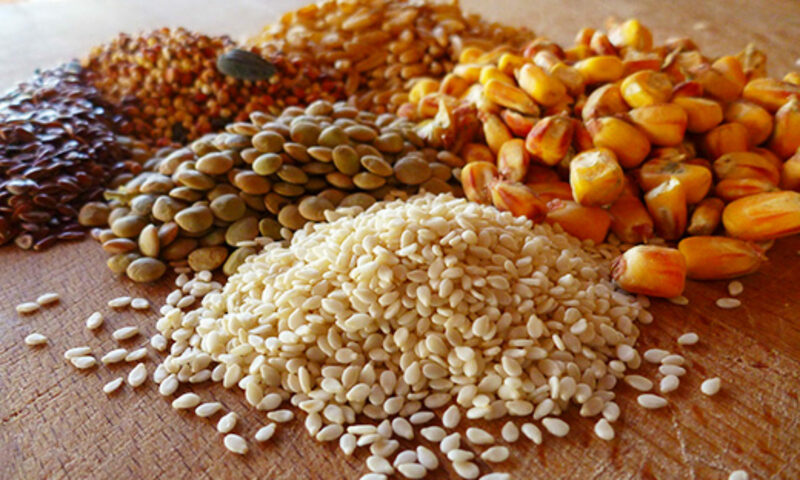 Before, we had to formulate our own poultry feeds by combining different kinds of grains, like corn and wheat. Today, it’s fortunately a lot easier; most feed stores provide pre-formulated chicken feed rations that offer our backyard birds the precise balance of nutrients they need. We should learn on the specific nutritional requirements of our chickens so that we will be able to discover the most effective feed rations in buying the ingredients of our chicken feed. This article, will guide you precisely on what your hungry chickens are craving! Just like humans, chickens have completely different needs at various stages of its life. Different kinds of chickens has their own unique feeding needs. For instance, layers nutritional requirements are quite different than those of the broilers. For Layers, from 0-6 weeks a starter feed should be given to the chicks with 20-22 percent protein level. At 6 weeks start feeding them pullet grower which has 14-16% protein until they reach 20 weeks. Afterwards, provide them a layer feed with a protein content of 15-18%. Since layer feed is usually more expensive, the poultry experts advice to substitute 1/2 pound of grain such as barley or corn for 1/2 pound of poultry ration every day. On this way, you can save more money but still giving the best nutrients for the layers. For Broilers, from 0-6 weeks the protein content should be 20-24%. Then, give them broiler finisher with a protein level of 16-20% until they are sent to be slaughtered. Water is one of the most important things to consider when feeding our backyard chickens. Just like we humans, the body of our chickens consist mostly of water. As poultry farmers, we should ensure that our flock have easy access to fresh, clean and potable water all throughout the day. It is also necessary to clean the waterers everyday to avoid diseases caused by dirty water. It is the responsibility of a farmer to supply adequate, clean, and pathogen-free water to his or her animals. One importance of water to livestock is that it determines the performance of animals. For instance, a laying hen that hasn’t taken enough water will have no good and impressive laying performance. This is because water is highly essential in egg formation. Water is important in the digestion of food and feeds. It is used in homeostasis in chicken’s body. It is required for cooling down the body temperature. It is vital for faecal excretion. It is required for metabolic reactions in an animal’s body. So as feed, nutrition, and the health of poultry are being taken seriously, water intake should be taken important. When planning to establish a farm, the source of clean water to serve animals on the farm should be highly considered. In summary, chickens needed to be served sufficient and cool water, and it must be free from any forms of contamination. The water must be from a clean and healthy source and must be served with clean water troughs. If chickens are starved of water for a very long time, they die and that will be a loss to the farmer. Water must be available for chicken at all times, except in situations where there is need to withdraw water from them. Birds such as broilers and layers are very sensitive to water and it is a factor that determines their production and performance.